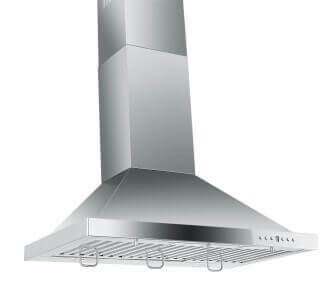 This Broan Chimney Range Hood is made from high quality stainless steel. Designed with European style and graceful curves, this range hood can be installed on low and high ceilings. It’s attractive, and will add a touch of class to any kitchen it is installed. 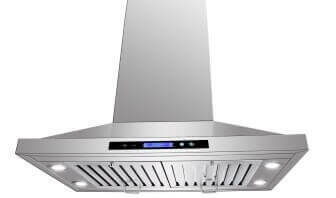 This range hood features an aluminum filter that can be cleaned in the dishwasher and dual 40-watt incandescent bulbs for added kitchen illumination. Also included is a non-ducted kit for indoor air recirculation. The blower has speed adjustments to handle excessive heat from those long cooking sessions and this unit comes with a one-year warranty, so you can rest assured you’re getting a quality product that is made to last. The Broan Chimney Range Hood tips the scales at 35 pounds and it has dimensions of 19.6 x 30 x 10.9 inches, the right size to fit in most kitchens. 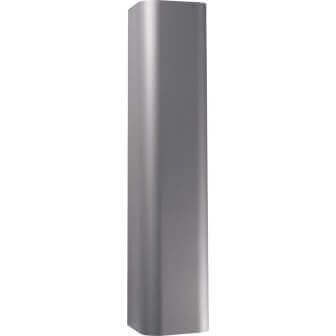 Installing this unit can be easy or difficult, depending on the height of your ceiling. Obviously, the higher the ceiling, the more difficult the job. It comes with an installation manual and with two men who are good with their hands, it can be installed within an hour. 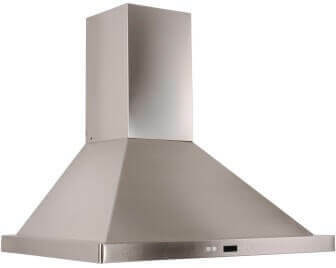 This The Broan Chimney Range Hood has the European design that many people treasure in designing their kitchens. It has a multiple-speed fan that does a good job of clearing the air and the filters are easy to clean, as you can just stick them in the dishwasher.